As most people know, B & I are unapologetic in our assertion that the modern martini is undrinkable. First off, it’s usually not a martini; it’s strained gin with an olive. Secondly, I just can’t get my head around gin and dry vermouth (at say 4 or 5:1). The martini’s predecessor, the Martinez, is interesting, although a little overly sweet as it has the sweet Old Tom gin, sweet vermouth and maraschino liqueur. 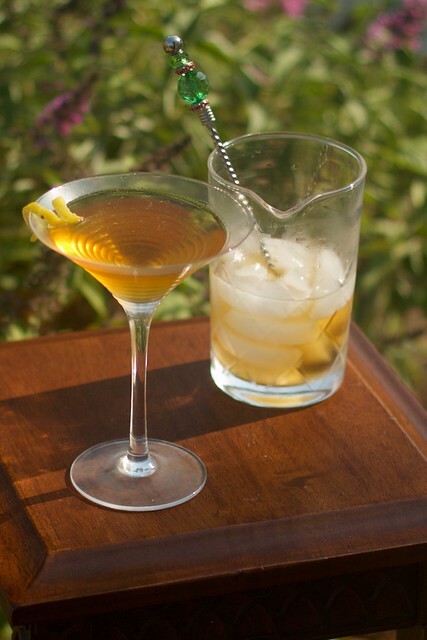 Even though both of us are diehard Manhattan drinkers, we both think there has to be a great Martini-based cocktail. We definitely plan to give both the sweet and the perfect (equal parts sweet and dry vermouth) martinis a try, but when we ran across the entry for the Journalist in The Savoy Cocktail Book (ca. 1930), we decided it would be a good foray into the genre. Stir well with ice and strain into a cocktail glass. 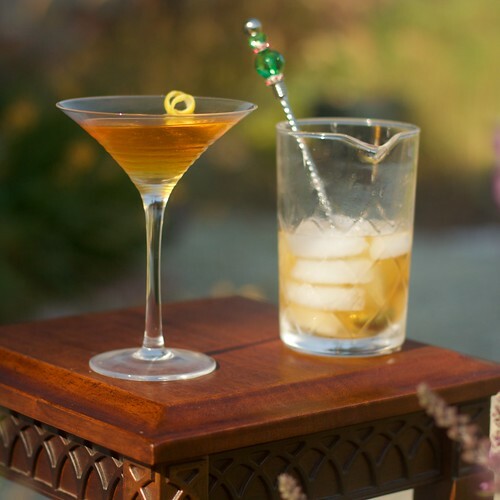 A couple of subtle modifications… first, I garnished with a lemon twist. It just seemed to work. second, the instructions say to shake. There is lemon juice, but it’s such a small amount as to not cloud the drink appreciably. Based on this, I decided the clarity of a stirred cocktail was what was called for. So, the verdict of your (not so) humble bloggers? It’s definitely better than a dry martini. It’s also not amazing. It seems to lack something. More/different bitters? A different gin? Not sure. We are going to have to keep researching this one. Still, there are worse crosses on can be called upon to bear.